Ilyasah Al-Shabazz, the daughter of Malcolm X, was quoted recently as saying that, “It was when I was watching the second Obama inauguration that I started to really worry that my father was being written out of history…” Her comment speaks to the concern discussed in this presentation by Dr. Jared Ball, the branding of Malcolm X and the revolutionary ideas with which he worked. A special thanks to Dr. Conrad Worrill and The Jacob H. Carruthers Center for Inner City Studies (CCICS) for the invitation and a wonderful event. Malcolm X being interviewed at the University of California at Berkeley about police brutality, the limitations of civil rights legislation (exclusively) in granting "full citizenship" within the U.S. and the importance of maintaining a healthy skepticism of white liberals who are frequently inclined to want to lead and/or otherwise guide the efforts of African American organizations aimed at racial justice and group uplift. “Here – at this final hour, in this quiet place – Harlem has come to bid farewell to one of its brightest hopes - extinguished now, and gone from us forever. For Harlem is where he worked and where he struggled and fought – his home of homes, where his heart was, and where his people are – and it is, therefore, most fitting that we meet once again – in Harlem – to share these last moments with him. For Harlem has ever been gracious to those who have loved her, have fought her, and have defended her honor even to the death. 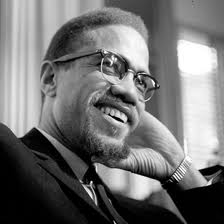 Below is one of the better documentaries on the life and example of Malcolm X. The story is guided by reflections shared by those who knew Malcolm best, including his family, close friends and supporters. Born on May 19, 1925, in Omaha, Nebraska, Malcolm X was a prominent black Malcolm X nationalist leader who served as a spokesman for the Nation of Islam during the 1950s and '60s. 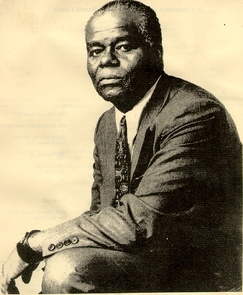 Due largely to his efforts, the Nation of Islam grew from a mere 400 members at the time he was released from prison in 1952 to 40,000 members by 1960. Articulate, passionate and a naturally gifted and inspirational orator, Malcolm X exhorted blacks to cast off the shackles of racism "by any means necessary,"
On February 21, 1965 (49 years ago yesterday), Malcolm X was killed by a group of assassins during a rally of the Organization of Afro-American Unity (OAAU) at the Audubon Ballroom in Harlem, New York. Today, people all over the world will participate in programs, study sessions and other activities to honor the life and legacy of Malcolm X. We recognize Brother Malcolm X today, by highlighting two of his final speeches. The first is one of the final speeches recorded, delivered in Detroit on February 14, 1965 (later in the day after his house was bombed in New York). 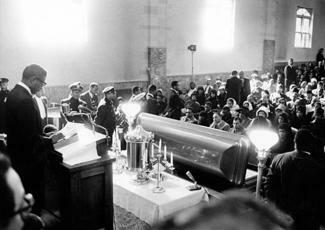 The second speech, Prospects for Freedom in 1965, was delivered by Malcolm X at the Militant Labor Forum on January 7, 1965. The best way for us to honor and celebrate Malcolm X's life and example is to continue our collective study of history, and to organize against racism in all of its expressions and forms.